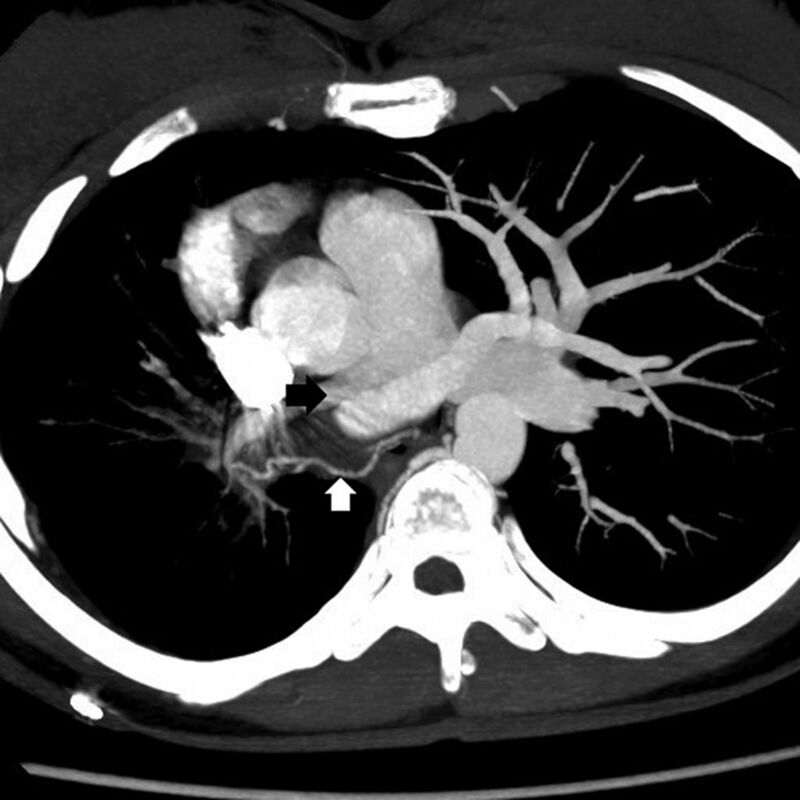 Axial maximum intensity projection image from CT pulmonary angiogram showing hypoplastic pulmonary artery (black arrow) and prominent bronchial artery (white arrow) on the right side. Perfusion scintigraphic images demonstrating scant perfusion to the right lung. Pulmonary artery hypoplasia is a rare cause of haemoptysis. The source of bleeding is usually from hypertrophic bronchial arteries. CT pulmonary angiogram combined with perfusion scintigraphy is very useful in making the diagnosis non-invasively. 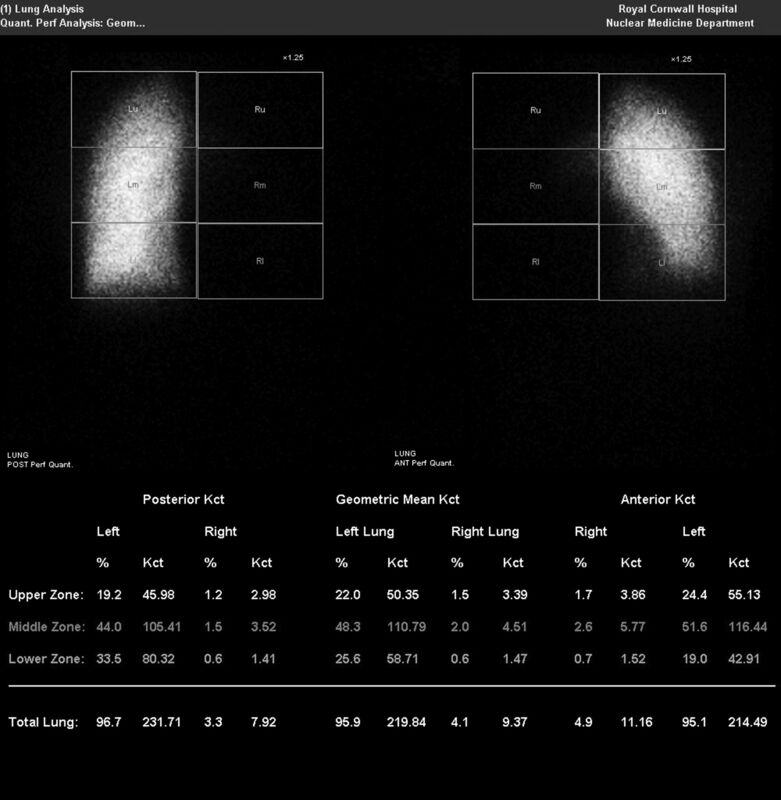 Mr Ivor Dixon, Medical Physicist, Royal Cornwall Hospital, Truro, Cornwall, UK for providing the new figure.
. Congenital unilateral pulmonary vein atresia: radiologic findings in three adult patients. AJR Am J Roentgenol 2001;177:681–5.
. Hypoplastic pulmonary artery: an unusual entity mimicking pulmonary embolism during pregnancy. Obstet Gynecol 1992;80(3 Pt 2):483–5.